Last year was an exciting year for the O Case because a lot of new styles have been added to the collection. Some of them looked contemporary, others looked classic and timeless. For example; the Double Chevron Reissue 2.55 O Case, the Golden Class Double CC O Case, the Gabriele O Case, the Camellia Diamante O Case, the O Case with Cosmo Charm and the Archi Chic O Case. For the Cruise 2018 Collection, there is one more style you should consider and it’s a more luxurious version that comes with a steeper price tag. 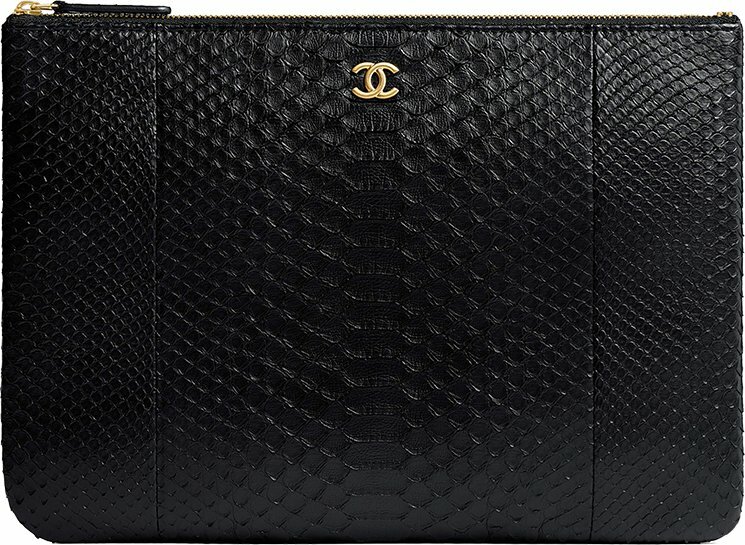 It’s the Chanel Python O Case. 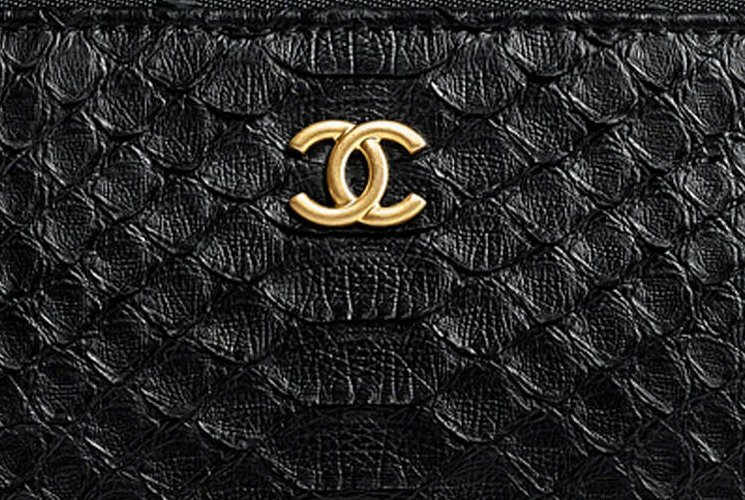 The shape and the design like the placement of the zipper and CC logo are exactly the same as the Classic Chanel O Case. However, the new python leather does change the experience and overall feel. We’re used to the diamond quilting or the chevron quilting versions, but the python version looks evenly classic and stunning. The top center is crafted with the same CC logo but in vintage gold hardware, which fits perfectly to the texture of the leather and the shade. There are more colors available, but you need to check with the SA at the boutiques. 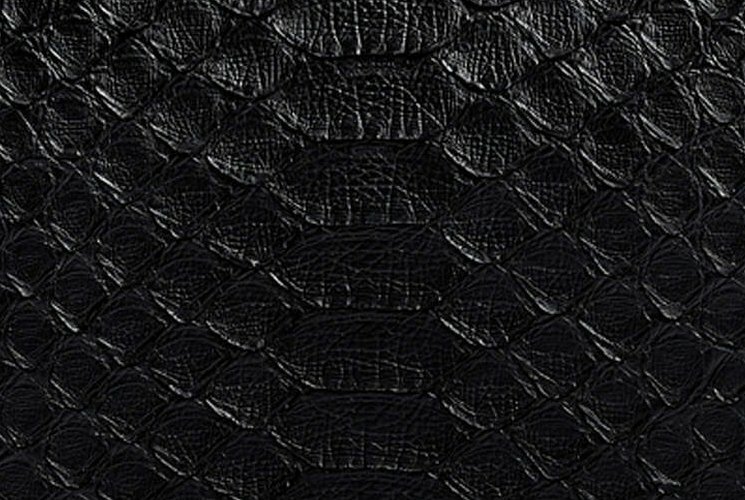 The price of the Python O Case is obvious more expensive than the normal leather like lambskin. We will discuss the details below. Zip this O Case open to get into the interior. You will find one large compartment to store all your daily or evening essentials. Hold this chic pouch in special events like weddings, but also in formal meetings or for work. Style code A82545, measuring 7.9’ x 10.8’ x 0.4’ inches, priced at $2050 USD, €1900 EUR, £1760 GBP, $3190 SGD, $16600 HKD, $2950 AUD, 10030 MYR via Chanel boutiques.